Launch capsize in Padma at least 65 people, including 9 children, drowned and more than 41 still missing, as a launch MV Mostafa sank after being hit by a cargo vessel in the Padma, near Paturia in in Manikganj on 22/02/2015. The disaster took place hardly 6 months after a double-decker launch, Pinak-6, sank with more than 200 passengers in Padma river near Mawaghat in Munshiganj, leaving more than a 100 people dead. The ill-fated launch, MV Mostafa, went down in Mid Padma river on impact of the collision with cargo vessel Nargis-1, barely 10 minutes after it left Paturia terminal for Daulatdia ferry ghat in Rajbari at 11:40am on Sunday. Though the launch MV Mostafa had a capacity of 140 passengers, it was carrying more than 200, claimed a number of survivors. Around 90 people were either rescued or they swam about half a kilometre to reach the shore, said witnesses and locals. 26 bodies were identified so far, said Rakibuzzaman, officer-in-charge of Shibalaya Police Station. The victims include 15 women, said rescuers. Rescuers searched sunken launch Pinak-6 for eight days but no good luck for the missing bodies as operation end. DC of Munshingonj said on August 11, 2014 in a press briefing that due to bad weather and other reasons they call off operations for ever. The administrations will lookout dead bodies in the surrounding districts of Padma. There are still 62 bodies missing thought 45 bodies recovered from the sank launch Pinak-6 area in Padma of 27 identified and handed over to the relatives, remaining 18 unidentified and buried at Shibchar Municipal Graveyard in Madaripur. DC said Kandari-2 and Jarip-10 concentrated their operation on one spot where they claimed to have a ‘object’ but could not found anything. Shipping Minister Shahjahan Khan told BBC Bangla radio that they had abandoned the search as there was no chance of identifies dead bodies. Ship Jarip-10 in Padma river near Mawaghat to search Launch Pinak-6 vessel. Jarip-10 can scan 300 meters square sidewater , 70 meters underwater and 18 meter in sandy waters. The Navy, coast guard, fire brigade, police and other bodies fail to find capsized launch sunken launch Pinak-6 for the 5th days. Total 36 bodies found and 18 bodies handed over to the relatives. A mobile video of launch Pinak-6 disaster in Padma captured by Suman of Shariatpur when he was just crossing the spot with another launch Ketuki going to Mawaghat. The Passengers of Pinak -6 are dying in front of their eyes but they had nothing to do. The people floating and going down within 1 minute as they could not know how to swimming while about 12 speed boats picked up lucky few passengers. The passengers of Ketuki launch praying for them, crying, someone through livebuoy but was not reached there as there were staying so far from sank launch in Padma. Rescuers still searching the launch within 6 kilometers of Padma but no sing. Relative waiting on the bank of Padma river in Mawaghat. Total 19 bodies have been recovered and 8 of them handed over the relatives, Shipping Minister of Bangladesh Shahjahan Khan said in a press briefing on August 6, 2014. The body of Farhad from Jhalokathi has been recovered in Bhola. There are still 137 passengers missing according the information center at Mawa. The vessel Kandari-2 is able to locate any ship if it is covered in silt with its SONAR machine will join with recues team from Chittagong. If Kandari-2 fails to identify the launch the Jarip-10 will be here to search the Pinak-6, said Shahjanah Khan. Relatives still waiting for the body of missing beloved one but no hope to get alive, just belongs. Rescue team still fail to identify the location of sink launch Pinak-6 in Padma due to bad weather and leak of modern technology. Fire brigade searching sink pinak-6 with their method by using rope and stone within 200 feet deep of river water. The Navy team is using scanning technology to trace out the sink launch, if the soil covered the launch then scanning technology will not able to trace out the sink launch in Padma river in Lauhajang Upazila of Munshigonj. 2 bodies of women found in Meghna floating near Chandpur district of Bangladesh on August 5 2014 could be missing passengers of sink launch in Padma, Munshigonj. Bangladesh Inland Water Transport Authority (BIWTA) have filled a case accusing six people including the owner of Pinak-6, sink launch in Padma river with missing about 120 passengers. 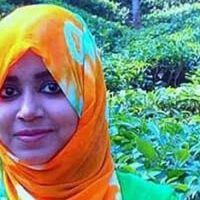 Bangladesh Shipping Minister Shahjahan Khan also lost 3 nieces are MBBS student Nusrat Jahan Hira , college student Fatema Tuj Johora Swarna and Jannatun nayeem Lucky were on the sink Launch who also back to Dhaka from Shibchor of Madaripur after Eik-ul-fitr celebation. The capsize Launch Pinak-6 still missing with more than 100 bodies in tidal Padma near Mawaghat of Munshigonj. The rescuer Ship MV Rustom waiting on the spot to pool out the sink launch. The Navy, Fire Brigade, Coastal guard are searching the launch to identify its location. Shipping Minister of Bangladesh announced to give Tk. 1,05,000 to each victim family beside Tk. 20,000 of local Administration. A launch sank with more than 300 people in the Padma River near Munshigonj district of Bangladesh at 11:25 am on August 04, 2014. The launch Pinak-6 has gone down as it was coming from Kawrakandi of Madaripur to Mawa-Munshigonj. About 100 people have been rescued from the vessel by the local people. Rescuer Ship MV Rustom and Hamza are going to the spot from Narayanganj and Chandpur respectively. The Navy, Coastal Guards , Fire brigade , RAB helicopter are engaged in operation to recover bodies from the sink launch Pinak-6. Shipping Minister Shahjahan Khan already reached at the spot and monitoring rescue operation. BIWTA Chairman Md. Samsuddoha Khondaker said in an interview with private television that they have rescued more than 100 people from the sink launch, there are more than 50 people are missing. He said that the launch fitness was ok and about 200 passengers were inside the launch. He said that full operation will start when the rescuer ship will have been reached on the spot as it is on the way from Chandpur. The government have formed two separate committees to find out the reasons of launch incident. Rescue operation is so difficult due to bad weather.